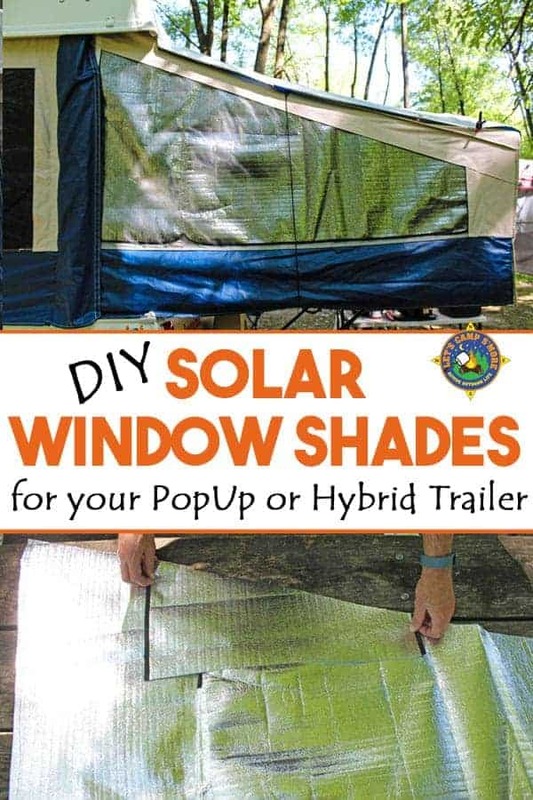 Make your own Custom Window Shades for your PopUp Camper to help keep the bunk ends cool. 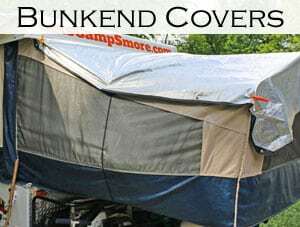 Recently we posted the Solar Bunkend Covers that we made for our PopUp Trailer. Since the sun is sometimes at an angle where it hits the side of the bunk end windows, we made our own sunshades. 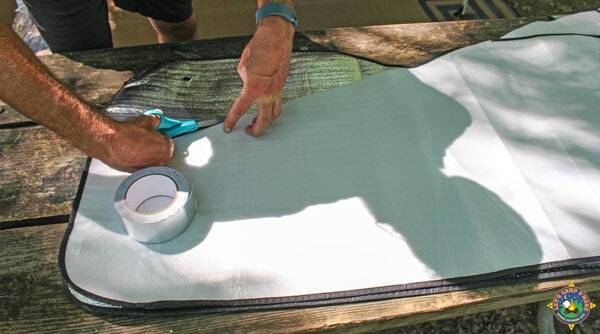 See how easy it is to make your own custom window shades to put in between the window layers of your canvas foldout. Measure the triangular shape of your bunkend windows. 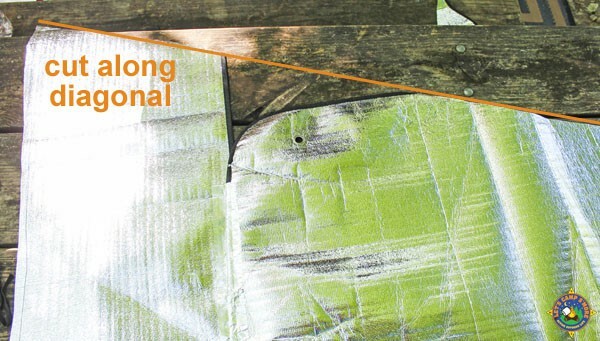 Tape two shades together to form an L. Cut a diagonal to match the slope of the window. Add a piece (from what you just cut off) to fill in the diagonal as shown below. This is what the completed window shade looks like. Repeat the process to make a shade for the other side of the bunkend. 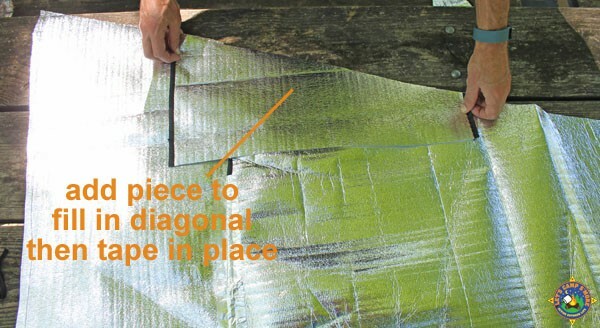 You can flip over the completed shade as a guide for cutting the other side. 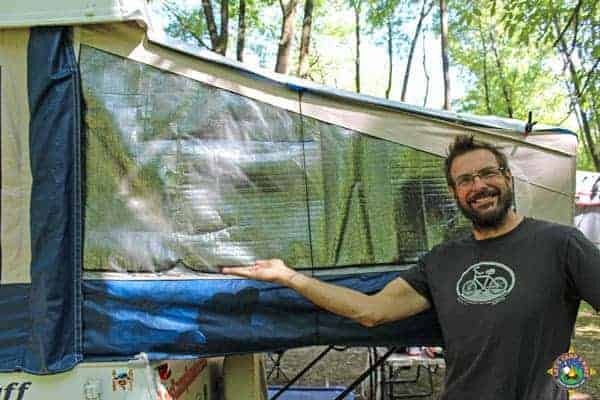 Our pop-up trailer has two different sized bunk ends, so be mindful of yours when making these. We used a permanent marker to mark the location of each window shade. When it is super sunny, simply zip the solar shades into place. These combined with the solar shades on top of the wings make a dramatic difference in the temperature inside the trailer. This was a very frugal project because we bought the reflective window shades at Dollar Tree. 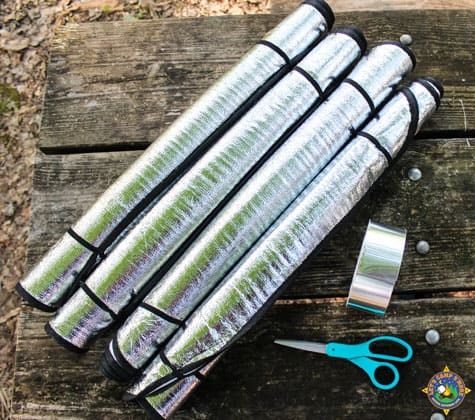 We used the leftover foil backed tape that we used when making our Ice Chest Cooler Cover. 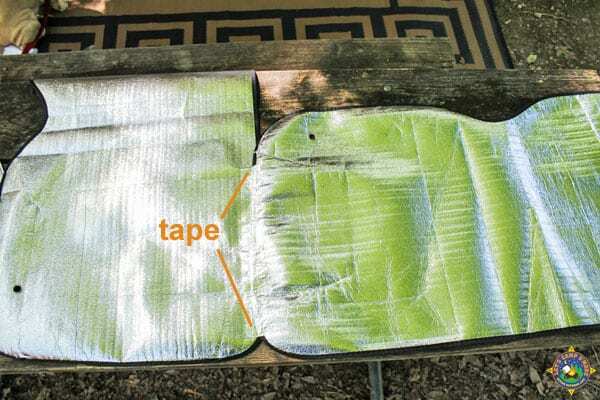 How do you keep cool when you camp in the summer? Such a great idea! I didn’t think it would be that easy! Going to try to get my husband to make one, these are so handy!